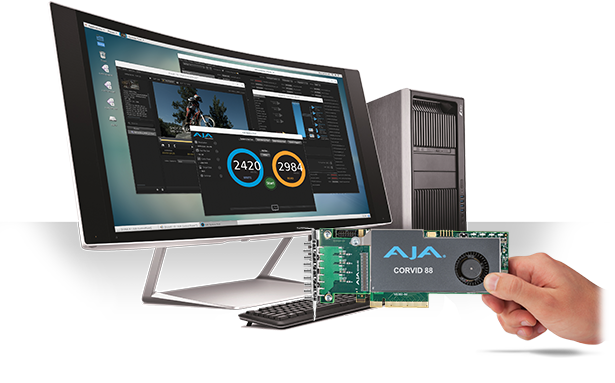 AJA's Developer SDK support site is the go-to location for all registered Developer Program partners to get SDK news, download critical files and ask questions about device configuration, problem solving and general technical support. Already a Developer Program partner? 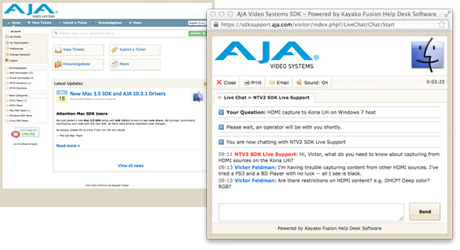 If you are an existing AJA Developer Program partner you can log into the SDK support site below. The Developer SDK support site has the information and help you need, whether you're a single developer or part of a large group. Get the latest SDK news, how-to information, support ticket status and even live chat with AJA developers* to keep your project on track and get your solutions to market quickly. *Limited hours, subject to availability. 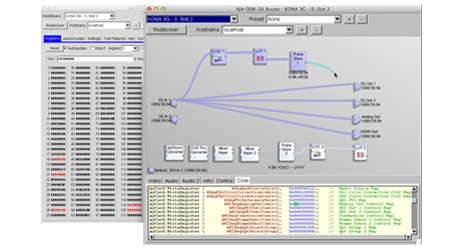 As a registered Developer Program partner, you get access to top-notch development tools that help visualize your solution and simplify debugging and problem-solving — and AJA's documentation will get you up to speed as quickly as possible.